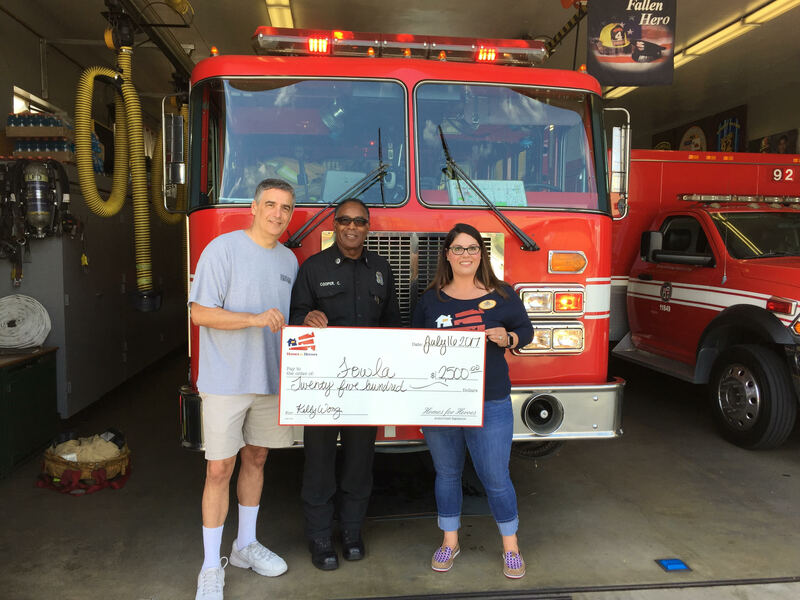 The Homes for Heroes Foundation donated $5000 in the month of July to help the families of fallen firefighters in the Los Angeles community. $2500 was donated to Friends of West Los Angeles (FOWLA) to support the family of fallen firefighter Kelly Wong, through the Kelly Wong Memorial Fund. $2500 was donated to the Widows, Orphans & Disabled Fireman’s Fund (WODFF) to support the families of fallen firefighters. FOWLA is a 501(c)3 non-profit corporation focused on improving the quality of life in the West Los Angeles area through contributions to city facilities (including schools, parks, libraries, police and fire), public/private partnerships and through close relationships with elected officials, community groups and businesses. FOWLA created the Kelly Wong Memorial Fund to support the family of fallen firefighter Kelly Wong. Kelly was a Los Angeles firefighter who passed away on June 5th, 2017 from injuries that he suffered while falling from an aerial latter during a training exercise. He dedicated his life to serving along side the firefighter community and was working at Station 9 at the time of the tragic incident. Kelly is survived by his 11-month old son, Colton and his wife Danielle. 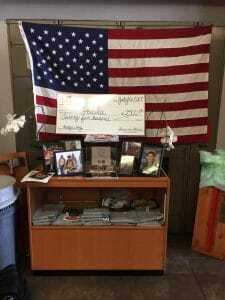 FOWLA is using the entire $2500 donation from the Homes for Heroes Foundation to support Danielle and Colton through the Kelly Wong Memorial Fund. CLICK HERE to learn how you can donate to the Kelly Wong Memorial Fund. WODFF was founded more than a century ago and is managed by the Los Angeles Firemen’s Relief Association. The Widows, Orphans & Disabled Firemen’s Fund is a nonprofit 501(c)(3) charity dedicated to helping the families of LAFD firefighters facing a serious crisis, such as being injured or killed in the line of duty. The charitable efforts of WODFF were brought to the attention of the Homes for Heroes Foundation by Los Angeles area real estate specialist, Melanie Jasgur. Melanie has a special connection to the firefighter community and WODFF through the dedicated service of her husband and grandfather. WODFF stepped in to help Melanie’s family when her grandfather passed away. CLICK HERE to learn more about the WODFF and how to support their charitable efforts. I am proud to be a partner with the Homes for Heroes program. My son is interning at this fire station in Los Angeles and it really touches the heart when someone you know is touched by the tragedy. You are doing a great job in helping those who are willing to sacrifice to keep us free and safe. Thank you, Gabe! It is our honor to do so!